There’s no limit to the range of gold investment questions that members of Pat McKeough’s Inner Circle–although the answers in May 2016 are consistent with those we offered a decade ago. Here’s one recent question from an Inner Circle member. What is Pat’s commentary for the week of October 1, 2013? Members of our Inner Circle service often ask for our advice on stocks they are thinking of buying that we don’t cover in our newsletters. These companies range from large multinational companies to the most speculative penny mines and gold investments. I recently received an offer in the mail to find out about the “secret gold currency”? How does one get to buy into it? Many thanks. 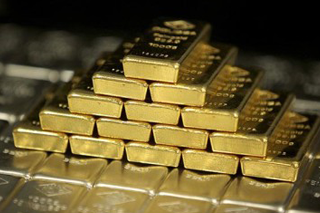 Gold investing: If you want to hold gold bullion….